How would the GOP health plan play out in Mass.? 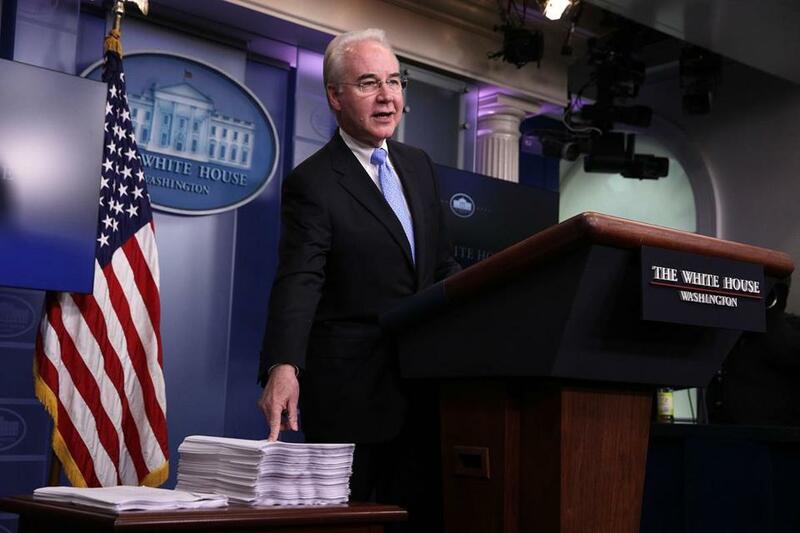 US Secretary of Health and Human Services Tom Price compared a copy of the Affordable Care Act, right, and the new House Republican health care bill during a briefing at the White House. As Congress debates the Republican proposal to replace the Affordable Care Act, Massachusetts is in a unique position. The state’s landmark 2006 health care overhaul resulted in near-universal coverage long before the federal law was enacted — so, no matter what Congress passes, it is likely to play out differently here. But Massachusetts is not immune to the tidal wave of change that could flow from the proposed legislation. In part, that’s because the state’s program now conforms to the federal Affordable Care Act, which the GOP plan would replace. More important, the state’s program depends on federal funding to provide the tax credits that have made health insurance affordable for lower-income people. The fate of that funding is now uncertain. Q. How would low-income people in Massachusetts fare under the proposed plan? A. It appears they would lose resources. A special state commission said hospital prices should be regulated as a way to control health care costs -- even as members of the panel remained sharply divided about issue. Although the GOP proposal would continue to offer tax credits to reduce premium costs, age rather than income would determine how much help a person gets. Everyone with an annual income under $75,000 ($150,000 for a household) would be eligible for a tax credit, but poorer people wouldn’t get any more help than those with more moderate incomes. Tax credits are the same for all people within an age group. “That’s really going to hurt a lot of people,” said Brian Rosman, policy and government relations director for the advocacy group Health Care for All. Significantly, the GOP plan would also eliminate another program that has helped the lowest-income people. People at or slightly above the federal poverty level who bought certain plans on a health insurance exchange can obtain federal subsidies to help them pay their out-of-pocket costs — the copays and deductibles. That help would be wiped out under the proposal before Congress. Massachusetts does have its own subsidy program that supplements the federal tax credits to make insurance even more affordable here. But that money isn’t enough to close the gaps left by the GOP plan. “What’s left is like giving someone a 6-foot ladder to get out of a 20-foot hole,” said John E. McDonough, a Harvard public health professor who played a key role in crafting the state’s health law. Q. Would people on MassHealth be affected? A. Yes, significantly, but not right away. Currently, states spend as much money as needed on their state Medicaid programs — in Massachusetts, it’s known as MassHealth — and the federal government matches it. The proposal in Congress would shift states to a per capita payment method. States would get a set amount, based on the number of people enrolled, regardless of how much health care they need. That means, Rosman said, that there would be less money available to manage a disease outbreak or a natural disaster that causes people to need medical care. The proposal would also affect the Medicaid expansion that was a cornerstone of the Affordable Care Act. That expansion enrolled a new category of people: those who are poor but didn’t fall into other eligibility groups, such as pregnant women or disabled people. Starting in 2020, no new people in this category could enroll. In Massachusetts, 300,000 people qualified for MassHealth under the expansion. The vast majority already had coverage; they had been buying state-subsidized insurance but switched to MassHealth, which is free. But it’s not clear, with the other subsidy reductions in the GOP plan, whether people who can no longer enroll in MassHealth would be able to find an affordable health plan. Any change to MassHealth funding will have a huge impact in Massachusetts, because the program is such a big part of the state’s health care system, covering 1.9 million people, or more than one-quarter of the state’s population. An initial review of the bill by state officials concluded that Massachusetts could suffer significant Medicaid losses, though no precise dollar amount was available. That’s a concern for hospitals, which pay for the care of the uninsured. Q. What happens to the individual mandate? A. The requirement that nearly everyone have health insurance — or pay a penalty — is central to both the federal and state health care laws. The individual mandate ensures that enough healthy people buy insurance to spread the risk. Without it, insurance specialists predict, people will wait until they’re sick to buy coverage, and insurance prices will soar. The GOP proposal essentially eliminates the individual mandate at the federal level by repealing the penalty. But the Massachusetts individual mandate remains in force, along with the state penalty, which ranges from $252 to $1,164 a year. This may help keep premiums lower in the state by keeping younger people in the insurance pool. But there’s a twist, noted Eric Linzer, executive vice president of the Massachusetts Association of Health Plans, the insurers’ trade group. The proposal in Congress would replace the mandate with a 30 percent surcharge on people who buy insurance after letting their coverage lapse. It’s not clear whether that requirement would apply in Massachusetts, given that the state still has an individual mandate. Q. Can Massachusetts go back to how things were before the Affordable Care Act? A. Not really. The original state plan, adopted in 2006, depended on federal money allocated through a Medicaid waiver program, which eases regulations so states can experiment with new ways to provide coverage. That waiver was recently revised, and money from it continues to support the state subsidies. It’s unclear whether anything in the revised waiver allows for additional support for state insurance subsidies. Audrey Shelto, president of the Blue Cross Blue Shield of Massachusetts Foundation, noted that Massachusetts was able to achieve the lowest rate of uninsured people in the nation — less than 3 percent — by providing coverage to low-income people through Medicaid expansion and subsidies. But Michael E. Chernew, a health care policy professor at Harvard Medical School, offered a less apocalyptic view. Massachusetts is in a stronger position than most states, with high employment, a robust economy, and a longstanding commitment to universal health coverage, he said. 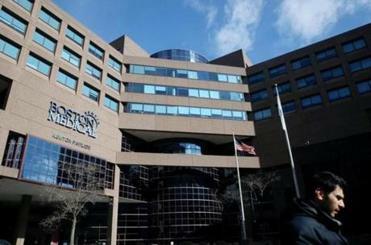 The state could work to recreate something similar to its pre-Affordable Care Act system, said Chernew, who serves on the governing board of the Massachusetts Health Connector, the state agency through which people buy subsidized insurance. Priyanka Dayal McCluskey of the Globe staff contributed to this report. Felice J. Freyer can be reached at felice.freyer@globe.com. Follow her on Twitter @felicejfreyer.